In an effort to be more self-sufficient and provide quality nutrition, many families today are raising their own poultry flocks. 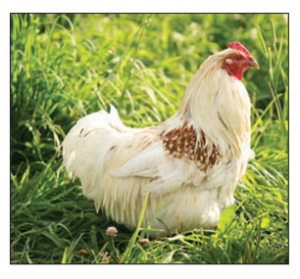 The Family Flock® line of poultry feeds have been specifically formulated to an elevated standard that supports the production of high quality, safe and nutrient dense meat and eggs. The Family Flock® line of poultry feeds provide a significant upgrade in poultry nutrition when compared to what is typically available on the market today. It is important to be a well-educated consumer, especially when dealing with matters that can directly affect your family. Many other brands of poultry feeds offer just enough nutrition to get by and use ingredients that are not the best quality. It seems their marketing effort relies on a low information consumer with lower expectations of performance. This type of consumer will typically make purchases based in large part on price per bag, rather than on value for the dollar spent, or on the quality of the end product for the family. Here are some key points that will help you to better evaluate other brands of poultry feed and clarify why the Family Flock® products are the finest line of poultry feeds on the market. It is important to note that the nutrient density of the poultry end products, like meat and eggs, can be directly influenced by the diet they eat. Birds, like us, are what they eat. Meeting higher nutrient standards in poultry diets can result in a healthier and more productive bird, as well as providing higher nutrient density in the meat and eggs. The Family Flock® Layer Ration contains a moderate level of whole fat flax meal, strong linoleic acid levels and higher Vitamin E fortification, which in turn improves the density of these nutrients in the meat and eggs. Higher levels of Omega-3 and DHA have been shown to be important in the human diet for good health, such as fighting chronic heart disease. As a result, eggs produced from the Family Flock® diet are estimated to contain 125 mg. of Omega-3 and 50 mg. of DHA per egg, versus standard eggs which only contain 50 mg. and 30 mg. respectively. The American Dietetic Association recommends a minimum daily intake for an adult of approximately 280 mg. of DHA and 220 mg of EPA (another Omega-3 fatty acid associated with DHA). Producing even higher levels of Omega-3 and DHA in the eggs is possible, however, it would require adding higher levels of flax meal in the bird’s diet. Flax seed and/or flax meal contain compounds, that when fed at higher levels, reduce digestive efficiency. The birds would eat significantly more feed and lay fewer eggs with higher flax levels in the feed. Also, higher levels of Omega-3 and DHA could be obtained by adding fish oil or fish meat to the bird’s diet. However, doing so would result in the eggs and meat tasting like fish and having poor consumer acceptance. The Family Flock® program offers a good balance of significantly improved nutrition quality, but without these negative side effects. Trace minerals are critical to the health of the birds and to humans as well. Feeding higher quality trace minerals to the birds means the meat and eggs will likely contain higher levels of nutrient rich trace minerals, which is important to our health. All of the Family Flock® feeds are formulated using 100% chelated (protected and prepared for digestion) key trace minerals. A combination of proteinated chelates and polysaccharide chelates are used to fortify the Family Flock® feeds. Chelated trace minerals are over 95% bio-available (available for digestion) resulting in an improved uptake of trace minerals in the meat and eggs. Many other brands of poultry feeds use poor quality trace mineral sources like zinc oxide and manganese oxide which are less than 10% bio-available; or they may use zinc sulfate, copper sulfate and manganese sulfate which are less than 50% bio-available. 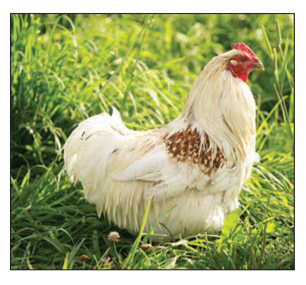 The Family Flock® feeds are formulated using selenium yeast as the sole selenium source. Research shows that selenium yeast is over 90% bio-available, where as sodium selenite (a commonly used source of selenium in the feed industry) is under 25% bio-available. Using selenium yeast results in more nutrient dense meat and eggs. The Family Flock® products are formulated with many key nutrients to meet high performance standards. Take one nutrient like Vitamin E for an example. Rather than only providing the minimum required level of Vitamin E at 3 I.U./lb. of feed, the Family Flock® program provides 45 I.U. of Vitamin E per pound of feed to facilitate improved bird performance and nutrient density of the meat and eggs. All of the Family Flock® feeds contain a highly effective, natural pathogen blocker that reduces the risk of serious pathogens in the birds digestive tract, such as Salmonella and E. coli. The Family Flock® Layer program is designed to provide high quality, richly colored yolks with sound nutrition. Family Flock® feeds do not contain marigold, or other undesirable ingredients to color the yolk. The Family Flock® program is available in both certified organic and non-organic formulas. The certified organic Family Flock® line of poultry feeds are formulated to meet the National Organic Program (NOP) standards set by the USDA. Crumblized Poultry Feed For Better Intake: The Family Flock® feeds are crumblized in texture to support appropriate and consistent daily feed intake. The Family Flock® line of poultry feeds have been designed specifically for the small flock producer who cares about the quality of the food their family eats. The Family Flock® line of poultry feeds are the finest small flock poultry feeds on the market and are an excellent value. Feed Family Flock® to your birds and see the difference excellent nutrition can make. 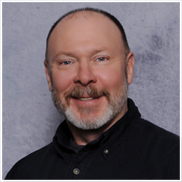 Feel free to call Crystal Creek® if you have any questions!